We have a band of geldings here, some are retired, some are show horses, some serve as companions for the stallions, and some are just here. No matter which one, they are all fabulous and all have a story. Tier and his half brother, Hail The Dark (Malthus x Senorita Fever) were pulled out of a pretty bad situation as weanlings, both near death, starving and every inch of their bodies covered in ticks. Certainly did not look like my best purchase. They had never seen people until the day they were run on a stock trailer and delivered to me. They were at the house less than 24 hours when Tier stood flat footed and cleared a 5′ pipe fence, then ran through every other fence on my place before I could get him roped and penned again. I said then “Watch, I’ll end up keeping this one.”, and sure enough when Dr. Miller came down to look at them in December of 2011, he bought Hail The Dark. Since then Tier has done a lot of growing. 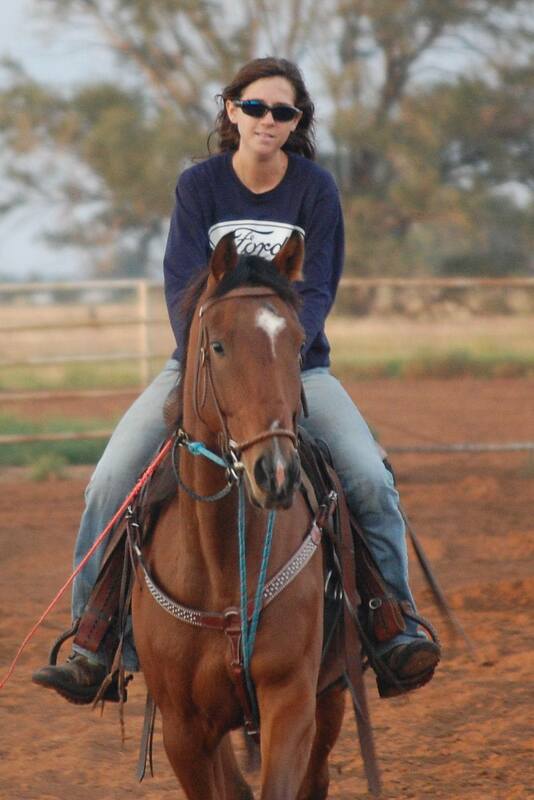 He has not jumped any more fences, fortunatly, and has matured into a huge, gentle, incredibly smart horse. He is the constant companion and amicable pasturemate of Primoris Prognatus since we lost Tavi (Frequent Flyers Cash). I am looking forward to a long, impressive show career for this guy, and if what he can do with 30 days of saddle time says anything about what he will do later in life… Well, I have a lot to look forward to. ‘Elvis’ is who started it all. He has taught me more than any other teacher I have ever had. He is now enjoying retirement, with the occasional outing carrying a flag for rodeo or club royalty, sorting, or breaking colts to pony. 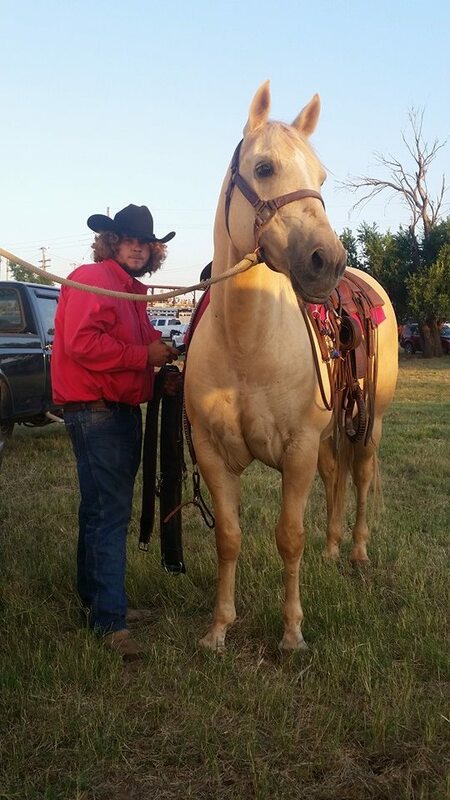 Elvis earned a huge box full of 4-H ribbons, several high point buckles, went to the Noth Texas Team Penning Association Finals in 2000 in Youth Division, qualified for 2009 AASP&RC Finals – placing 8th in Intermediate Womens Flags. In his career he has shown and placed in team penning, team sorting, ranch sorting, barrels, poles, stakes, hunter over fences, jumping 4’6″, hunt seat equitation, endurance racing, parades, playdays, cutting, reining, working cowhorse, showmanship, trail, western riding, horsemanship, western pleasure, and was hard to beat in elimination classes because I was nortorious for dropping his bridle and still nailing every transition. His biggest fault is he hates not having an audiance. If there is a crowed, he puts on a show. No crowd? Good luck getting anything done unless its a serious job. He always loved working cattle the best, he slept through halter classes, liked to throw one hard buck the first time you took him in for a class – no matter how long you warmed up before – was bad about running off with a bridle, but stops every time without one, never just walks for parades or trail rides, and the moment he thought I wasn’t paying attention, he would make sure I had too. ‘Scooter’ and Elvis are half brothers, and have been together their whole lives. Scooter has shown and competed almost as much as Elvis, though he spend a portion of his life ponying race horses, which lead to the oppertunity to purchase Gotta Be Free. Scooter is in full retirement due to a shoulder injury sustained at the race track, and spends his days napping, keeping some of the younger horses in line or babysitting weanlings. 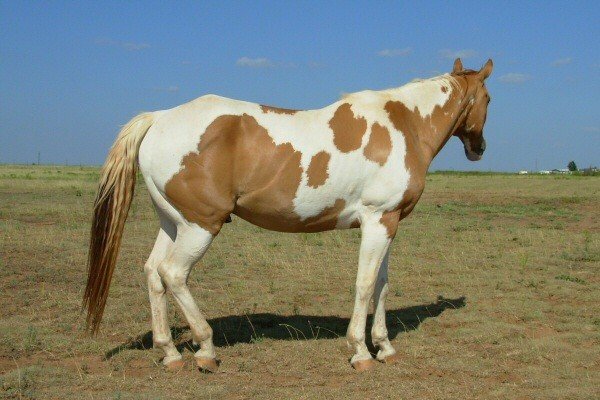 James was bred by my mother, out of her Foundation QH breeding stock. He is always a good, laid-back go-to guy if you need to just take it easy. He has no desire to go fast, and takes everthing at one speed: James speed. 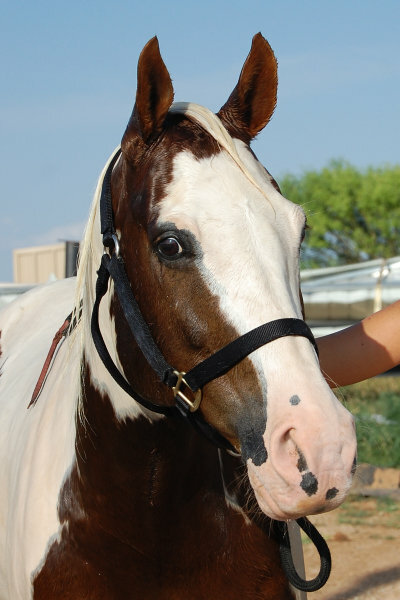 James playdays, parades and trailrides all at that same speed – his consistancy and reliability make him a keeper. He also keeps Gotta Be Free company. Joseph’s owner died, and he had no where to go, so we took him, and an old stallion named Jackson in. Any papers or documents that may have been related were never found, though he appears to be in his early teens by his teeth. He is a quirky little guy, and seems to be uncannily familiar with Cutters Sierra Star. He pastures with Jackson and Scooter. Bounced around a lot and actually showed up here for training under two different owners, about 5 years apart. This boy finally made it home after I turned down buying him three times. Very glad I was finally able to get my boy back to the house for good this time. We lost Tavi to colic in August of 2014. He is dearly missed on a daily basis. He was very close with Primoris Prognatus and Tiers Of Lords, and the hole he left behind will always be there. Probably the most amazing, paitent horse, despite the circumstances he had come from – it takes a lot to trust someone when you have been used to put cigarettes out. We all miss him, and I wish he was here every day. You don’t realize the impact a horse has on you. Tavi taught me to never give up.